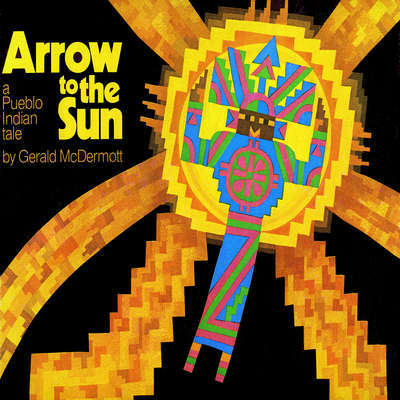 Gerald McDermott, a Caldecott Medalist, has received international recognition for his illustrated books and animated films. He is highly regarded for his culturally diverse works inspired by traditional African and Japanese folktales, hero tales of the Pueblos, and the archetypal mythology of Egypt, Greece, and Rome. He was awarded a National Scholastic Scholarship to Pratt Institute in Brooklyn while he attended high school in Detroit. Once in New York, he began to produce and direct a series of animated films on mythology in consultation with renowned mythologist Joseph Campbell, and these films became the basis for McDermott’s first picture books. In addition to his books and films, he is primary education program director for the Joseph Campbell Foundation.